So any health freaks out there? There was a point of time where I got a little obsessed with foot reflexology because they are known to be good for our overall health. As usual, saw some voucher on Groupon or Ilovediscounts, can't remember but either one :p, decided to just get them with my friend Carmen. :) So this is how we ended up at Kallos, Sunway Giza. I would say that the interior of the place is kinda homey and spacious. As you enter through the door you will notice a huge space in the center, while the reception is on your left, on your right is the shelf with products and also a few rooms. 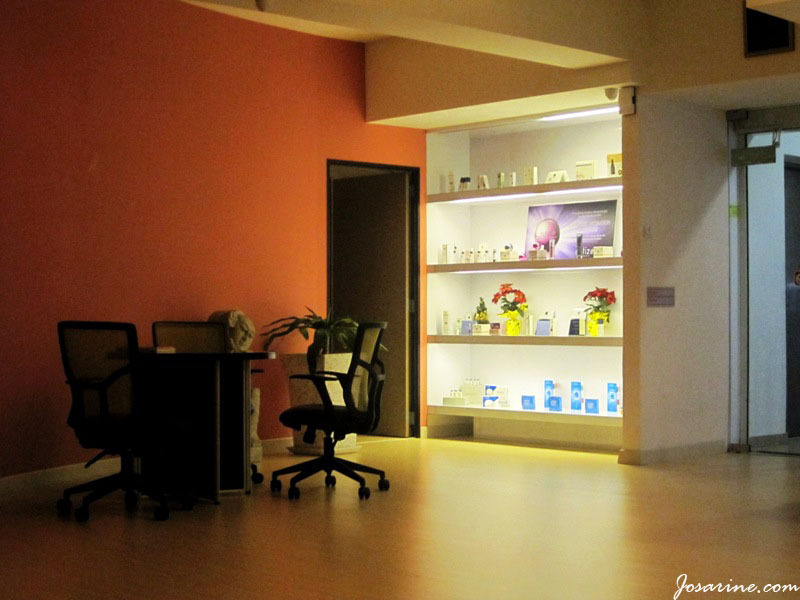 Right in front of you is where they have comfortable chairs provided for foot reflexology. At the further left there are a few rooms as well and one of it is the office, and the other is a salon. 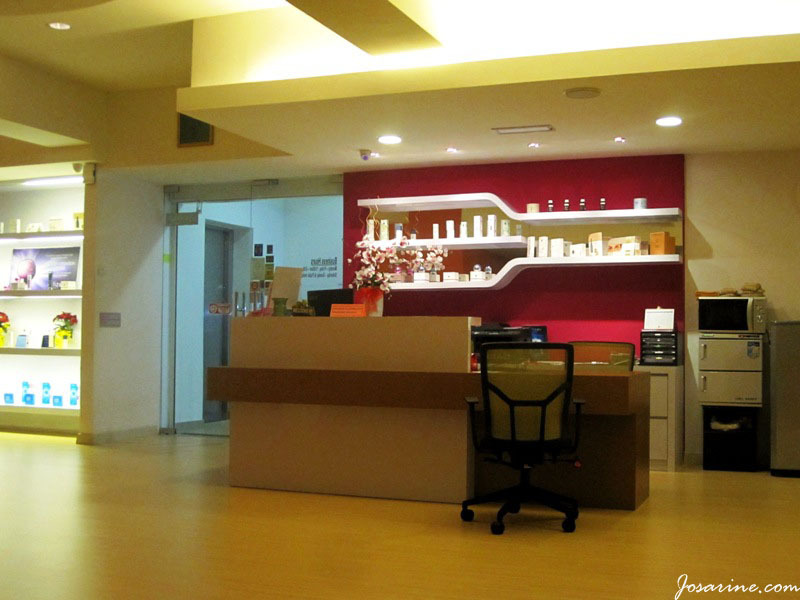 It seemed to me that this place does a lot of things because I saw "massage" in the price list too. So the first thing they would do is prepare some warm/hot water with some soap to soak your feet. This was my first time going for a proper foot reflexology, and my first time dipping into a hot bucket of water. My experience? It was crazy hot! My friend Carmen did not feel that it was hot but for me, I felt like it was burning my skin till I couldn't stand it. After dipping your feet for about 5 to 10 minutes, the masseur would dry your feet and wrap them in a towel like the picture above. And then it was time for the foot reflexology massage. My friend Carmen and I were satisfied with their service. The uncle who massage my feet was Chinese so he explained to me which area targets which part of the body, etc. My friend had a masseur from China, but she could speak Mandarin so it's not an issue for her, however they are not as talkative as compared to the uncle who massaged my feet. After the feet, there would be a 15 mins shoulder and neck massage that was pretty awesome. For the deal that we bought we were given some promotional price for the next visit. Because we loved it so much we paid for the next service. I cant remember the exact price because this was like last year. But the pricing should be ranging from RM35 (for 12 - 3pm) on weekdays, and RM40+ for other days, for 1.5 hours.